Overview: The Malinke, also called Maninka, Mandinko, or Mandingo, are a Manding-speaking people residing today in southern Ghana, northwestern Ivory Coast, Sierra Leone, northern Liberia, Gambia, Guinea, Senegal, and the region of Manden on the border of Mali and Guinea-Bissau. 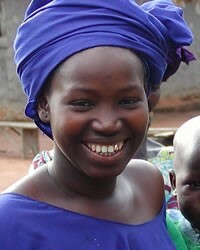 They are primarily farmers who trace their origins to the thirteenth-century Mali Empire. Most Malinke are Sunni Muslims, although there are sizable Christian and animist minorities. -- James S. Olson, The Peoples of Africa. London: Greenwood Press (1996), pp. 366-367.